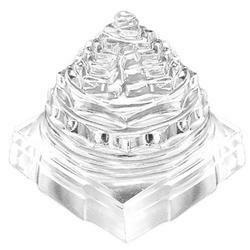 Accredited for our wide range of products, we are offering premium quality Sphatik Shree Yantra. To meet the variegated demands of the clients, our company is instrumental in offering excellent quality range of Shree Yantra. 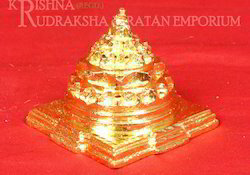 Sphatik Shree Yantra is available from 30 grams to 100 grams. each gram Rs-30/. - It helps in attracting fortune, wealth and overall prosperity in one’s life. - It brings name, fame and good luck to the family or organization, company which possesses this incredible Vedic instrument. This yantra has powerful effects on the attainment of power, authority, and financial success. It also bestows popularity and favor from the government, higher officials and political leaders. This Omnipotent Yantra is used in residential, commercial and religious places with great benefit.The yantra weighs about 40-50 grams. - Sri Yantra is personification of the goddess of wealth Maha Laxmi. - It has the powers to bestow the energies of wealth and success. - The Sri Yantra embodies countless number of deities and represents the whole of creation.